Robotic surgery for some procedures may be more expensive than conventional surgery – and, at least for now, result in more complications as well, according to researchers from Columbia University Medical Center. The finding, published in the journal Obstetrics & Gynecology, focused on surgery for benign gynecological conditions. The researchers in this study looked at two gynecological surgeries – oophorectomy (removal of one or both ovaries) and cystectomy (removal of an ovarian cyst). The rates of robotic surgery for those two procedures has been growing sharply – from 3.5 percent in 2009 to 15.0 percent in 2012 for oophorectomy, and from 2.4 percent in 2009 to 12.9 percent in 2012 for cystectomy. 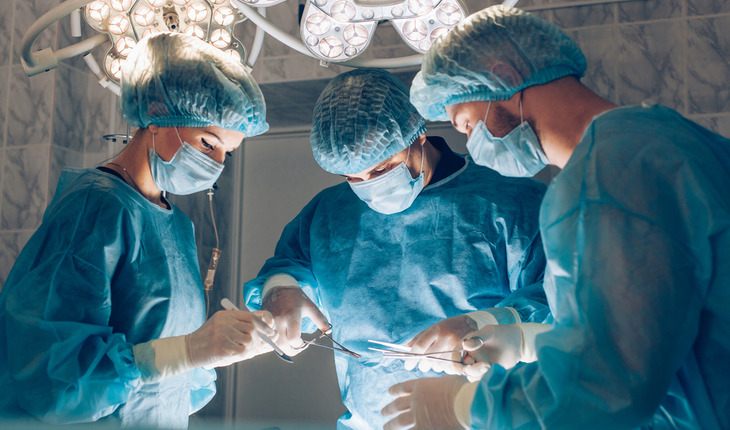 In analyzing the results of 87,514 procedures between 2000 and 2012, the investigators found a small but statistically significant increase in complications, such as bladder and uretral injuries, during surgery. The specific figures for injuries were 3.4 percent for robotic oophorectomy vs. 2.1 percent for conventional laparoscopic oophorectomy. In robotic cystectomy, the figures were 2.0 percent for the injuries as opposed to 0.9 percent for a conventional laparoscopic cystectomy. The authors said that the rate of injuries may decline as surgeons become more experienced with robotic technology. At the same time, they said that further studies are needed to evaluate whether robotic surgery should be a standard procedure in cases of ovarian cancer. Both robotic and laparoscopic surgeries are minimally invasive, with the surgeon performing the operation through small incisions in the patient’s body. However, with robotic surgery the surgeon uses robotic arms to perform the operation, while in conventional procedures he or she manipulates the surgical instruments directly. Additionally, the researchers found a sharp difference between the cost of robotic and conventional procedures. . The median total cost for robot-assisted oophorectomy was $7,426, while for conventional laparoscopic oophorectomy it was $4,922. The median total cost for robot-assisted cystectomy was $7,444; for conventional laparoscopic cystectomy it was $4,133. The difference in cost, the researchers said, was yet another reason that the procedures need to be further investigators. “With the rapid rise in the cost of cancer care, we need to make sure that public policies encourage comparative studies prior to widespread dissemination of new technologies,” said co-author Dawn L. Hershman, MD, MS, associate professor of medicine at the College of Physicians and Surgeons.